When you decide to purchase fair trade products including shoes, you are supporting the manufacturers and the original producers of the materials that were used to make the shoes. Unlike other shoes, fair trade companies assist in the development of the local communities and their suppliers by paying a fair wage and investing in local projects and provides Fair Trade working conditions and environments for the workers. The products are about making decent working conditions, better prices, better terms of trade and local sustainability for workers and farmers in the third (developing) world that are manufacturing according to the fair trade act. By requiring companies to pay sustainable prices for their goods, buying fair trade addresses some of the injustices of conventional trade, which traditionally hurts the poorest, weakest shoe producers. 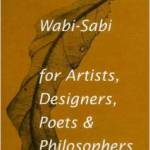 It enables them to improve their position and have more control over their lives. If you have ever bought Fair Trade Boot or shoes I’d love to hear from you and tell me what you think of them! New Fair Trade List coming in 2017!!! So if you’re looking for gifts for over the Christmas season, have a look at the list and find a supplier near you! I hope this list of Fair Trade Products helps you find what you need. Stumbled across these fair trade shoes the other day by Etiko. Considering purchasing a pair. Has anyone used them before? The video looks really interesting. My name is Reyes Guerrero and I am the president of the co-operative Pupore. We make work shoes and alpargatas. They have always been popular because they are very light, very resistant, and you can walk miles and miles. In the north of Argentinia, La Pampa, in all the country areas, people normally use canvas to make pants as it is very durable for riding horses. We use the off-cuts left from making the pants to make alpargatas. Our co-operative is called Pupore, which comes from the Guarani language. Pupore means “leaving footprints”, which for us means that each person leaves their own footprint when they teach another person. Our co-operative is not just about being a business. We also play a social role. We help everyone in our suburb, in our community, we are helping the community to organise itself, including showing people how to make alpargatas, we fund a school, we are going to help the community with its needs like sewage and housing. We are six workers here, with another three that come and go, but with the work we do with Etiko we will be able to help a lot of people. If we can get more orders we could employ between 20 and 25 people. We can also employ our families, that each have two or three children, and this all helps to create a chain. I understand that you have the same ideas as us about helping in this world, to change this world that has become so globalised, under as system where our people live in such bad conditions, which is something that means a lot to all of us, and to Pupore. “Help Fair Trade”! 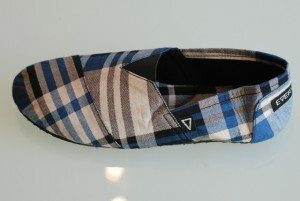 Please let me know if you’ve purchased any of these Etiko Fair Trade Shoes by commenting below. Thongs are worn by people all around the world. I love wearing flip-flops (aka thongs) and Feelgoodz have produced some thongs that are 100% biodegradable and Fair Trade. 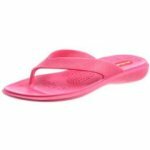 Unlike some other producers around the world who make other Fair Trade shoes, because the materials used are very basic, the thongs are 100% recyclable. Feelgoodz are an eco-friendly, fair trade flip-flop — they’re the only company in the U.S. currently offering up 100% natural rubber flip-flops, which are 100% biodegradable and recyclable. 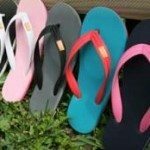 Do you know of any other fair trade flip-flop/thongs, or, perhaps another variety of fair trade shoes that are also 100% biodegradable? I personally own a pair of fair trade ‘Chunks’. They are actually a lovely bright green. Previously, I’ve always worn basic ‘runners’ such as Nike, Adidas or Brooks. 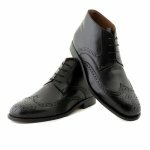 I recently heard about fair trade shoes and decided to give them a go. I must say I certainly haven’t been disappointed,not only are they really comfortable, trendy looking, but they are supporting struggling communities helping them to make a living. Not only are the shoes making my feet feel great, I fell great knowing I am helping to make a difference in other peoples lives. Unsure about Purchasing Fair Trade Products? At first, I wasn’t sure about purchasing fair trade shoes, boots or running shoes. I thought they would be way more expensive, have a lower build quality and not not be as stylish. I was glad to be proved wrong. The shoes were no more expensive than a nice pair of runners. The build quality of the shoes was outstanding – I still wear them after 2 years! 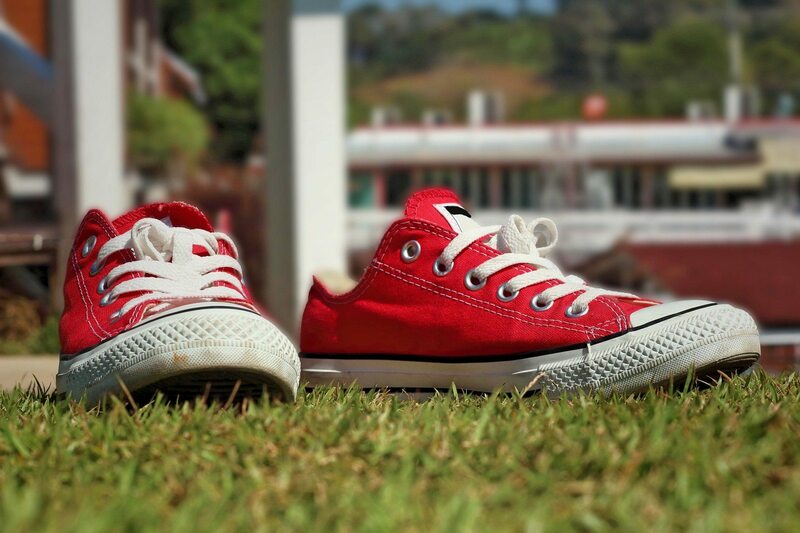 And the resemblance to the common style called ‘chucks’ was uncanny. Overall, I love my shoes. If you haven’t purchased Fair Trade Clothing or shoes yet, I urge you to give it a go today. There are a number of companies around, have a look at our Fair Trade Online store here. If you have owned a pair of fair trade shoes before, I’d love to hear your thoughts. Was there anything that you particularly loved about your fair trade shoes? 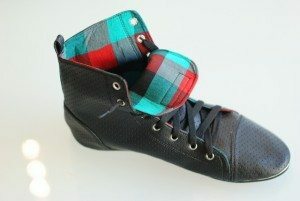 Recently some photos were released from “Everyday’s” new range of Fair Trade Shoes. I think they look great! Check out the rest of the Everyday range. 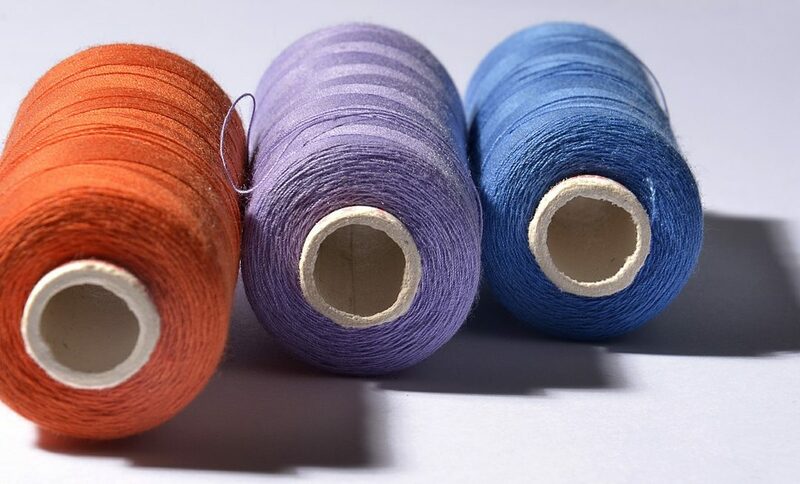 They make an effort to use non-destructive materials in their products and they aim to make a positive environmental impact and are Fair Trade. Vegan Fair Trade Shoes by Everyday are available in a wide array of colors and finishes that you can create your own style perfect for your shoppers. Genuine Fair Trade Vegan Shoes. NOHARM is proud to introduce an exciting range of high fashion, cruelty-free, vegan shoes and boots for the discerning and ethically responsible male consumer. All ingredients and components used to manufacture NOHARM footwear are meticulously researched to ensure the finished product conforms to Vegan Society standards. We combine a passion for Quality, Design and Sustainability to bring you great products that are: well made, fit well, styled well and a shoe that will last. Like many women, I grew up with a passion for Fair Trade shoes, and a dream that one day I might be able to turn my design ideas into reality and create my own collection. Made in Sri Lanka, these shoes are produced with stunning leathers and satins, combined with glitzy jewels and my signature A rivet. I started Wills with a passion to provide animal and human friendly shoes with high-street styles and prices. Wills is about getting the latest fashions out there at fair prices, while not hurting animals or people in the process. No matter who you are or where you’re going in life, Wills are there for when you want to make a positive choice. A stunning collection of handmade fair trade footwear crafted from vintage fabrics. Kitty Cooper’s mission is to provide a glamorous alternative to traditional ‘Eco-styled’ footwear. Beautiful hand made shoes, made using traditional artisan methods. Created using natural products from sustainably managed sources and recycled materials. 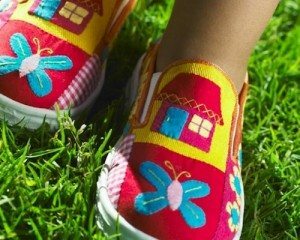 An extensive collection of highly fashionable Eco-friendly shoes, made using recycled materials and minimum glue, includes a Fair Trade vegan range. Winners of the Observer Ethical Fashion Award 2007 and the Drapers Ethical Footwear Retailer of the Year in 2008. Our aim is to capture the vibrancy and dynamism of Brazilian culture and channel it into everything we do. From product design to business processes we make sure these are socially and environmentally positive. My dream is to bridge the gap between everyday people and ethically produced vegan shoes. Eco Fair Trade Vegan Shoes is about getting the latest fashions out there at fair prices, while not hurting animals or people in the process. No matter who you are or where you’re going in life, we are there for when you want to make a positive choice. Handmade beaded leather flip flops and leather sandals. Handcrafted using traditional techniques, laidback London leather sandals, leather flip flops and leather accessories are all made in Africa and have a positive social impact on the local communities that make the products. Fortress of Inca was inspired by a pair of boots originally bought in Peru in 2005. These boots encompassed textiles and materials that were native to the region and represented the talent and creativity of the Peruvian people. 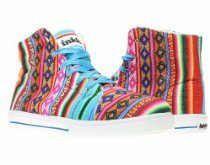 When Fortress of Inca was launched, it was important to us to keep production of these beautiful fair trade boots and shoes in Peru. The world’s first Fairtrade running shoes and Flip-Flops made using Fair trade and Organic cotton as well as Fairly traded and FSC Certified rubber. Neon Collective is a vegan boutique with an extensive selection of ethical bags and non-leather shoes featuring trainers, boots and sandals. All shoes are produced in factories where the workers are well treated. we care about where things are made, and more importantly, who makes them. all fairejour products are designed and created with thoughtfulness and love for the environment, people, and you. we will never carry items that were made in a faulty factory, or created by the hands of a cruel-hearted individual (even if they are an evil genius). This is just a small list of shoe manufacturers. If you find other companies I’d love to hear from you. What do you think about the group mentioned here? Do you like these style of fair trade shoes? Trail running is a variant on running that diverge distinctly from road running. It basically takes place on hiking trails, usually on single track trails, even though fire roads are not unusual. A distinct feature of the trails is that they are regularly inaccessible by major roads but of the trail heads. The trails have the tendency to cross different terrains such as swamps, hills, forests and narrow pathways, thus a different type of fair trade running shoes are needed. Trail running has become a very popular sport in the passing years, with about 600,500 pairs of trail running shoes sold in the year 2011 alone. Trail running is a sport popular not only in the United States but also in Australia, UK and Canada. Most trail runners wear specially designed running shoes that have rigid, knobby soles that are usually stronger than regular running shoes. Running shoes are low to the surface to allow the optimum stability on hard terrain. The material compound in the midsole is to safeguard your feet from blisters and wounds from sharp objects, the shoes are less padded than a regular running shoes. Since trail running is performed on softer surfaces such as grass or narrow trails, than road races, padding is not as essential. Trail athletic shoes must be more strong and durable than normal fair trade running shoes to safeguard your feet from the more rocky terrain. Trail running shoes should keep your foot free from moist and be definitely dry, and also include a sole designed to gain toehold on damp, hard or rocky road terrain. The first thing you need to do is to find a trail shoe that has a stronger and more durable, bent sole which will help you to gain more footing on rocks and mud. The sole should also efficiently be shock proof, from running on hard and rocky surfaces, such as pebbles, mud and rocks. You can also find fair trade athletic shoes that have strong upper soles that are water proof and easy to clean. The uppers must be made from a component, usually nylon or polyester, that can wick moisture away from the feet, maintaining it dry and cool. More expensive running shoes may have specialized uppers that are made from a material that is highly waterproof common to hiking and climbing shoes. Choose a light trail shoe that will help decrease exhaustion over longer trail runs. Most running shoes weigh not more than 2 lbs. that is less than half the weight of regular hiking shoes. Pick a pair of running shoes from a quality brand to have extra durability and stability. You can visit a shoe store that specially sells trail fair trade running shoes. The sales clerk at these shoe stores or fair trade online store has enough knowledge with the different products and the latest features of the trail running shoes they offer. Make sure that your running shoes fit tightly so that will aid you to prevent slips and feet sores. Also, you may need to purchase a shoe that will extend enough to hold thick socks during bad weather. Purchase the right kind of socks when you buy a new pair of running shoes. Socks should also be lightweight yet durable, and they should allow your feet to breathe. You must choose socks that are compatible with your running shoes to keep your feet free from moisture, cool and blisters. Why not try to buy Fair trade socks and Fair Trade clothing to go with your running shoes? I’d love to hear about your experience with Fair Trade products including trail Fair trade Shoes! Got Smelly Fair Trade Running Shoes? 1. Wear good quality fairtrade socks, this can help your shoes from being moist. Socks made of non-cotton materials are better such as synthetic socks since they will prevent moisture, rather than staying sweaty, which is very common if you use cotton socks. You can buy socks made from different synthetic materials. When you are purchasing socks for your sports and running routine, you should remember to base your decision on materials. Cotton stays wet when damped by sweat, thus when your feet starts to gather moist, it will stay that way unless you take them off. The rule of thumb is, stay away from cotton socks. When running during winter, wearing cotton socks will allow your feet to retain extra moisture, and during summer it can cause feet sores. The best fair trade socks are those which are made from synthetic materials such as acrylic and polyester. During winter, you can use wool-based socks, if you are very vulnerable to blisters, you can utilize double-layered socks to get extra protection. 2. Keep your running shoes in a cool and dry place. Whenever you put your fair trade sneakers and running shoes away, remove the sole inserts to prevent bacterial growth and allow them to air naturally with good ventilation. 3. The more fair trade running shoes you have, the better. The recommended minimum number is two pairs of running shoes so that you can give each pair a breath-out period when you’re not using them. If you are running every day, it is great to give your running shoes a breathing period between your routines. Your running shoes can last longer when you give them enough time to relax between your running routines. This is very essential during winter days. Running with a fresh pair of fairtrade running shoes will help you to decrease the occurrence of injuries associated with running. If you don’t have the capacity to get two pairs of shoes at one time, try getting a new pair in the middle of the life of your present fair trade running shoes. 4. The extra padding in the shoes will help you to ensure safety to your leg joints and muscles. Giving your shoes a breath-out period will also decrease the risk of athlete’s foot. This condition is a fungal infection that flourishes in moisture-rich places, such as between your toes. If you find your feet itchy and between your toes and soles, and the skin are cracking, you may already have athlete’s foot. This is caused by a kind of mold-like fungi that grows best in warm, damp places. You can get this condition when you touch the feet of a person with athlete’s foot. However, you can also pick this up from moisture-rich surfaces such as your fair trade running shoes that are not properly dried out or washed properly. You can prevent athlete’s foot by ensuring that your feet are dry before you wear your socks and fair trade running shoes. There are a plethora of products that are now available to control the condition, such as foot powder with anti-fungal properties. 5. Baking soda powder (also known as Baking Soda, Bicarbonate of Soda or Baking powder) can also help you to avoid smelly feet, sprinkle some soda powder in your shoes after your run. It will absorb the moisture and prevent bad odor. It is a natural product which is cost effetive and doesn’t have harsh chemicals. If you have any other tips and ideas on how to keep your Fair Trade products and shoes, or any other shoe for that matter from smelling, I’d love to hear them! Even though fair trade running shoes are very comfortable, don’t use them for everyday activities aside from running, jogging or working out. Although you’re just doing simple tasks, you’re still compressing your running shoes and the cushioning will be gradually torn. Wear flip flops when you stay in your home, and if you are going out for a short walk or a stroll in a park, or wear a good pair of Fair Trade Sneakers, sandals or walking shoe instead. When you are in a hurry, you tend to wear or take off your shoes without untying the shoe laces. Make sure you untie the laces before you take them off or wear them. The more your shoes are stressed with the tension brought by limited space, the faster they will wear off. If you wash your shoes or it gets wet, never dry them out on direct heat such as a radiator. Intense heat will dry out the shoe materials such as leather. In drying your shoes properly, untie the laces, take off the insoles, and air dry them, away from direct heat such as sunlight. To dry your fairtrade sneakers and running shoes faster, you can also use crumpled paper inside the shoes to absorb water. If you are a frequent runner, it is very good to alternate two pair of fair trade running shoes. Your running shoes will last longer when you provide them with enough time to breathe-out or decompress between your running routines. 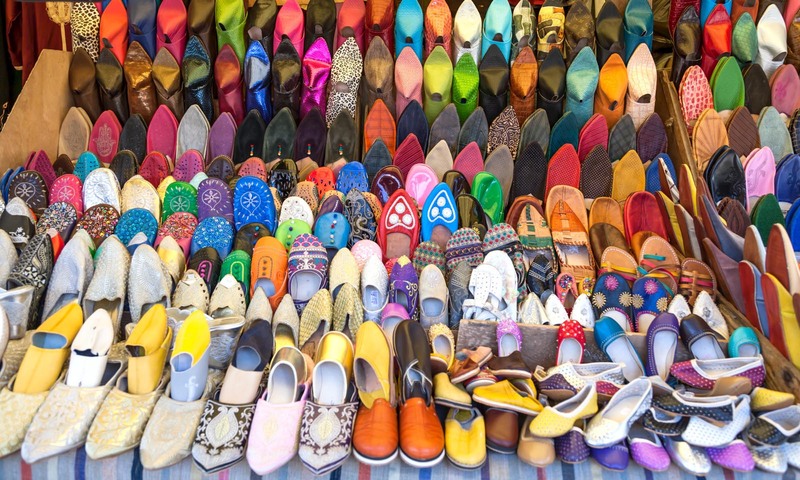 Store your fairtrade running shoes in a cool, dry place away from moist and direct heat. Never leave them in cramped places such as an overcrowded duffel bag or a compressed car trunk. If your running shoes need washing, use your hands to scrub off the dirt. Do not use strong detergents or hot water and air dry is better that direct heat. Most importantly never put them in to a washing machine, even on a gentle cycle. You will eventually save more bucks on fair trade running shoes by getting the appropriate fit from the best running shoes store you can find in your area, where professional runners usually purchase their fair trade running shoes. While a pair of good fairtrade running shoes would cost at least $ 50- $ 120, they will save money by slashing the occurrence of injuries. If you buy a pair of running shoes which cost about $25 – $60, that are usually badly designed, the occurrence of leg injuries increases. Most specialized fairtrade running shoes store have after sales policies so you are guaranteed with your demands whenever you shoes got some problems. Fair Trade Online stores are also efficient, but you need to be very specific on your orders, since it will cost you extra time when the delivered shoes are not suitable to your running needs.